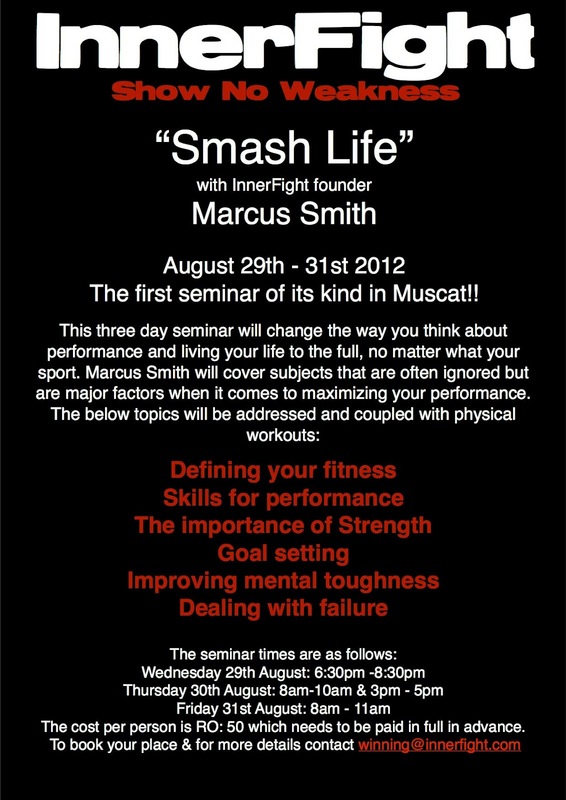 Later this month, InnerFight fitness guru, Marcus Smith is holding a 3 day seminar right here in Muscat. 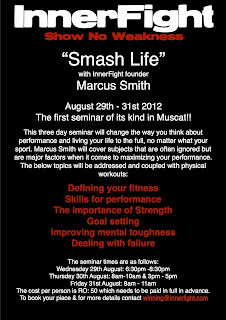 If you are pretty seriouos about your fitness training, you might want to look into attending this seminar - you might just learn something new! My first thought is "what kind of retard starts a seminar at 1830 in Ramadhan?". Nice work! Hm.. Ramadan will be finished by that time..
What kind of retard comments without reading the piece properly? Oh woe is me the downtrodden Muslim abyadhi. Haha...blame it on low blood sugar..or something...doh!